Ford Escapes have been a top selling SUV in Canada for YEARS now! 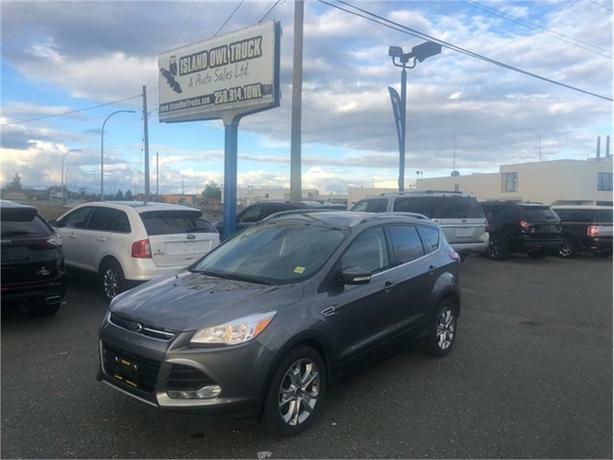 This gorgeous 2014 Escape Titanium capitalizes on that by offering all the great and reliable basics and piles on more features than you would expect! Full leather interior, remote start, heated seats, handsfree tailgate, navigation and MUCH MUCH more! If you want a nearly new luxury vehicle for much less than brand new, come and see us before this one disappears!